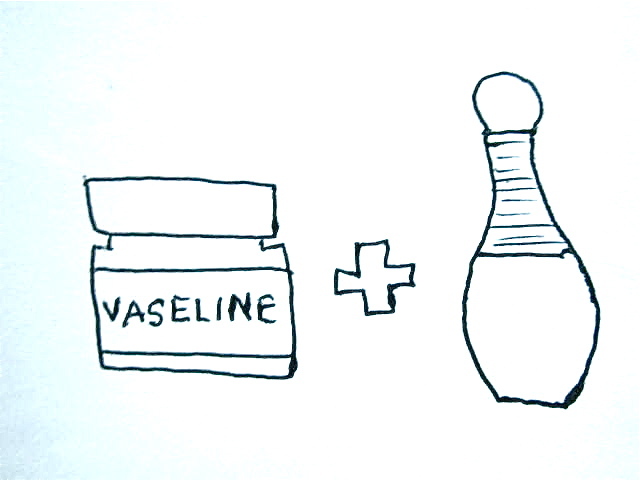 5 Things You Can Do with Vaseline Petroleum Jelly! Hi, guys! Did you ever hear about Vaseline Petroleum Jelly? Basically, petroleum jelly is a semi-solid mixture of hydrocarbons (with carbon numbers mainly higher than 25), originally promoted as a topical ointment for its healing properties. Have you tried petroleum jelly? Here are some information about petroleum jelly. ▪Gentle on your skin, hypoallergenic and non-comedogenic (won’t clog pores). Don't you believe it? I've tried so many times and its works just like an ordinary makeup remover. In fact, it doesn't irritate your skin. But, it is not suitable if you want to use petroleum jelly to your whole face. You can use it to remove your eyeliner, eyeshadows or maybe lipstick! How? Just apply a little bit of petroleum jelly to the place you want to remove or erase. Massage it slowly and take a cotton pad or cotton bud and wipe it off. You will see the makeup are already gone. If you run out of lip balm, you can use petroleum jelly instead. It gives you the same feeling like when you used the lip balm. The fun thing is, you may also make your own lip balm with that petroleum jelly. Just take a bit of petroleum jelly and lipstick then melts it with microwave or candles. There you have it, your own DIY lip balm! You may also use petroleum jelly on your any body part such as elbows, feets, knees etc to prevent dry skin. Have you ever experience that after a few hours you wearing eyeshadows then its slowly disappear or become faded? There is a way how to prevent it from happening. All you need is just apply the petroleum jelly to your lids before you apply the eyeshadows. It will make your eyeshadow stay longer and make the colour become more vibrant. You should try this out, girls! I bet it will give a different look to you. You always need to reapply your perfume every hour? Now, you can settle that problem just by using petroleum jelly. All you need to do is put a bit of vaseline on the place that you usually apply your perfume. For example, on your wrist, back of your ears, and more. By doing that, it will make your perfume stay longer because The perfume droplets will cling to the petroleum jelly. So, your perfume will stay longer than usual. You don't have any exfoliator at home? Don't worry. You can do it by yourself. All you need are petroleum jelly and a bit of sugar. Mix it up then you're ready to scrub your lip. Or else, just apply the petroleum jelly on your lips, leave it for a few seconds then scrub it with a toothbrush. Actually, there are so many things you can do with petroleum jelly. You can just google, it will come out. Hope this entry will give something beneficial to you who read and you will apply it to your daily life. See you in the next entry! Xoxo. You should try it then? :D Thanks for reading! phewwww first time tau i know that vaseline has so much uses!